But does it ever really end? Sure, there’s the whole world goes up in flames and God takes over and evil is defeated thing, but is that the resolution? Ever notice that the Book of Revelation ends with the gates of the eternal city being always open? (Rev 21:25) Now why would a city that everyone is already a part of need to have gates that never close? I thought this was the end of the book! Yet, this verse clearly shows that the story continues. The “resolution” is just the beginning of another story. So what does this mean? Are we longing for something we will never experience? I don’t think so…not exactly anyway. If I told you that you could have eternal refills on your favorite drink, when would you run out of refills? If the cup had an endless bottom, how long would it take you to fill up the cup? Would it ever be full? Would you ever be “done?” Of course not! The very fact that it is eternal demands that you are never done, it’s never over, you never reach the last page. One of my favorite movies growing up was the Never Ending Story. In this movie, as long as there is human imagination, the story continues. The Never Ending Story got it right. Human imagination will last for eternity, the human spirit never dies, so “resolution” never comes. But let’s look at it from the flip side, shall we? Resolution also never stops. There was only one fall, and it already happened. Ever since, creation and humanity have been on the constant path back towards total restoration, and eventually even to surpass the original garden. We are unresolved because things are broken that need to be fixed, or because something that should be complete is incomplete, yet we are constantly being restored, fixed, completed, resolved. We are forever growing towards more beauty, more life, more “resolution.” It’s not that there are no happy endings; just that they keep happening forever. I can’t wait for the stage when that resolution crosses the line from simply restoring what has been lost to expanding what has been gained. One day, there will be no more brokenness to fix, no more evil to purge, and no more devil to overcome, but we will still be unresolved. We will continue on our journey upwards and inwards. We will be forever going deeper into union and intimacy with God, and we will forever be discovering more about the person who we truly are by His design. Life is a journey, and it never ends. We are broken now, but we are being resolved. Even once we aren’t broken, we will still be “being resolved.” The reason why there is never total resolution, is because what we have is better than resolution! We have eternity! That ache we feel is beautiful, because it drives us onwards and inwards. It reminds us that there is always more goodness to be experienced. It is not meant to haunt us or torment us. It is there to give us more and more life, more and more joy, more and more pleasure, forever. Next time you are feeling particularly “unresolved,” or like your life is just a mess of chaos, remember that the resolution for that season is coming, but you must embrace the journey. Resolutions will keep happening forever, but if we only enjoy the resolution, we rob ourselves of a lifetime of goodness. So enjoy the process. 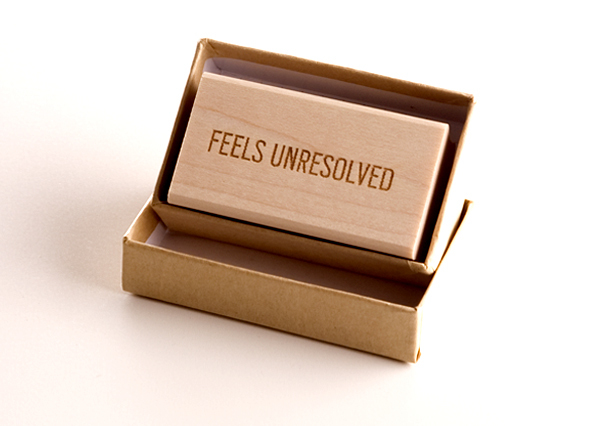 Love being unresolved. You are beautifully broken, and God loves just enjoying you right now! He loves watching you become who He already knows you to be, and no part is “better” than any other. He celebrates your victories and “happy ending” moments with you, and He mourns with you when things are falling apart and you hurt. He never gives up on you, and He is never disappointed in you. He will never love you any differently than He does right now. He celebrates all of you, he loves you even though you are unresolved. You always will be, and that is a good thing. I wrote this post for a friend, because I know she needs to hear it, so at least one person will hopefully be impacted. But if you are person number 2, or 3, or 10, please don’t hesitate to let me know. I write because I’m made to, because God has built it into my veins, but when I don’t write it’s because I forget that it matters to people. If anything I’ve had to say over the last 9 months or so has mattered to you, don’t hesitate to comment and let me know. You are the inspiration that keeps me writing. Thanks for reading, and I hope you enjoyed it. Resolution. You are so right, we are constantly searching for it. We are dissatisfied when we expect it and it doesn’t occur. But I think, in my walk, this lack of resolution is so encouraging. It feeds my hunger even more. I LOVE that there is always more. More to learn, more to experience, more to love, more to live. Deeper and deeper and deeper He calls us. Absolutely love it. Keep up the writing, Karsten. God uses it in our lives, but also in yours. Keep going deeper! Thanks Cassie! I appreciate it. Yea, it’s cool how God works. I’ve also been thinking about what you said, that we are dissatisfied when we expect it and it doesn’t occur. That proverb about how hope deferred makes the heart sick. I think if we hope for resolution before the timing it is meant for, we feel that sick heart. It’s hard to keep expecting when it doesn’t happen in our timing. Oh resolution. I feel as if, at times, this concept can become a drug. I think it is a drug. but one we are never supposed to come off of. Our life is continually reaching new levels of resolution, so it’s as if we are forever enjoying more and more of the drug for all of eternity. Unending bliss, because there is always more resolution to enjoy. Cool, huh? Your comment about the journey reminded me of comment after a player was on the winning Super Bowl team (can’t remember who). The player enjoyed the journey (the getting to the game) more than the resolution (winning it all). Good word and well done. As always, it’s a pleasure hearing your feedback. Thanks so much. Your writings have inspired me and challenged me. Thank you for your insight . Blessings.